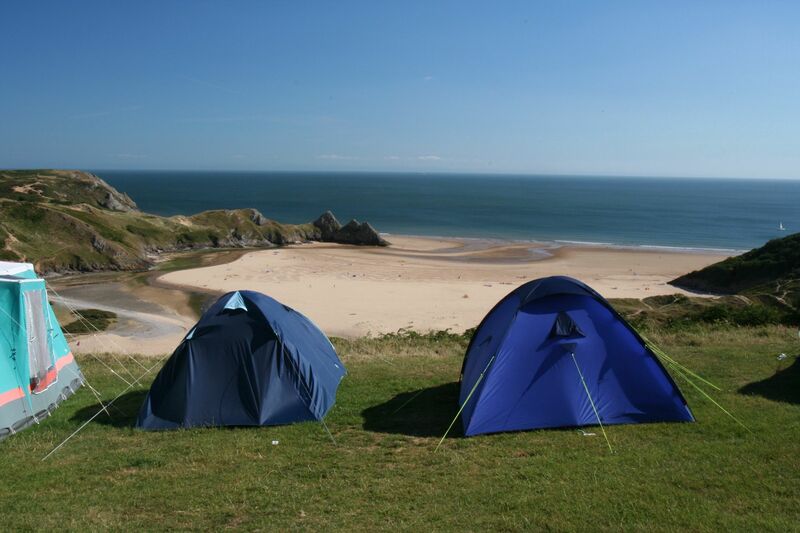 Grab your bucket and spade and check out this collection of UK campsites that all have a beach within reach. 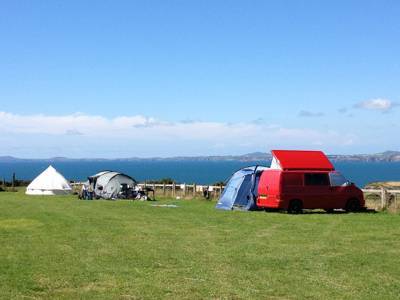 If you're a fan of seaside camping then you can't go wrong with this gang of campsites and glamping destinations that all have a beach just a short walk away. 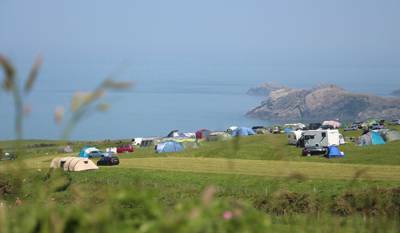 From clifftop campsites and sandy campervan pitches, to glamping sites hidden among the dunes, this curated collection brings together only the very best seaside spots. Browse our choices below and book your seaside break online today! 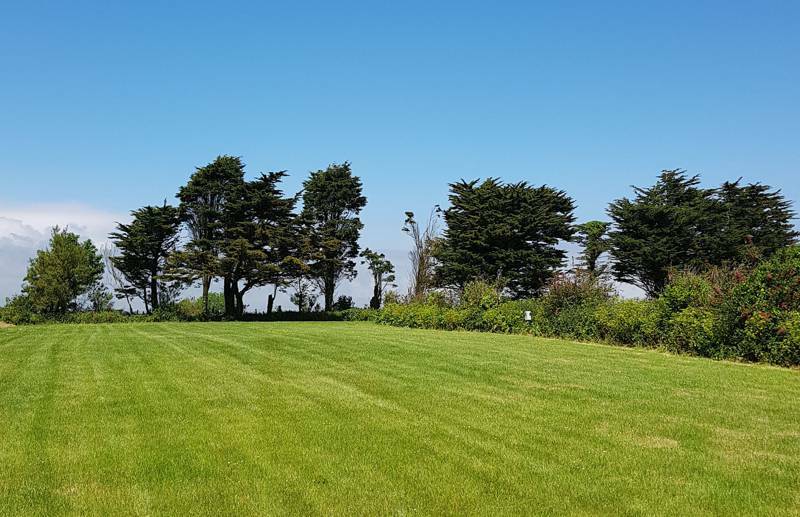 Glorious Guernsey views from this well-equipped, sea-front campervan site on the island's northern tip. 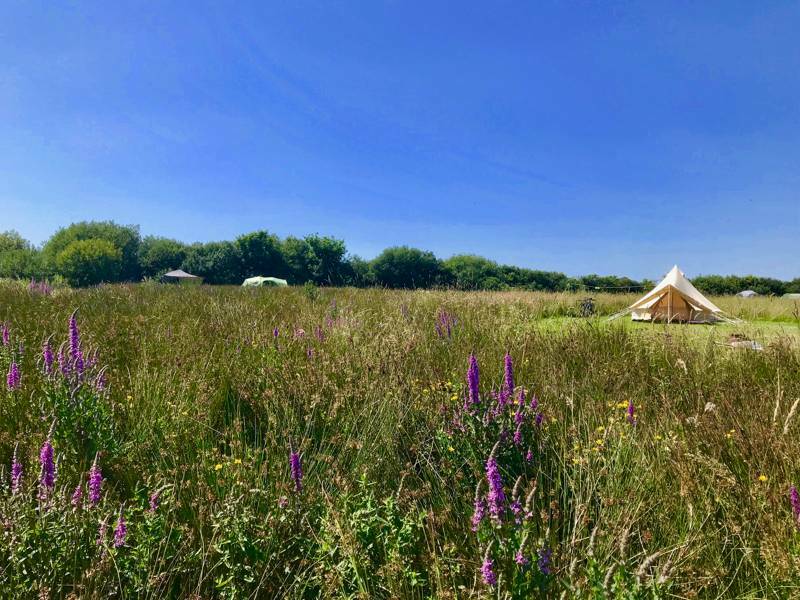 From clifftop cabins to bell tents by the beach, we've scoured the shores to find not only the best places to pitch your tent, but also incredible glamping hideaways for luxury lovers. Pack light, travel more easily and arrived to ready-made accommodation where you can put your feet up or enjoy a dip in the sea. 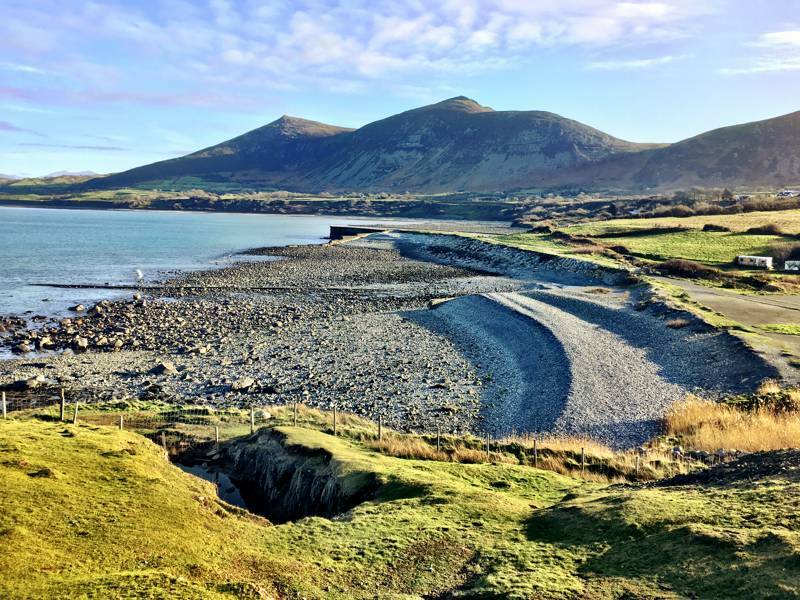 Mountains behind you, a beach at your feet and an impeccably designed hut just for two. Wade in the Atlantic surf and kick back on the sand at these seaside campsites on France's western coast. Walking on miles of open sand, swimming in the sea and building sandcastles is some of the most simple but amazing fun you can have! 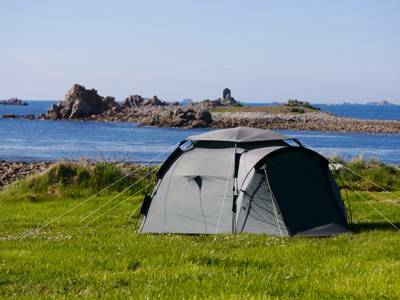 If you're planning on spending your holiday on the beach then why go camping inland? Instead, we love discovering campsites on the coast where you can step from your tent and wander down the sandy pathway right to the waterside. 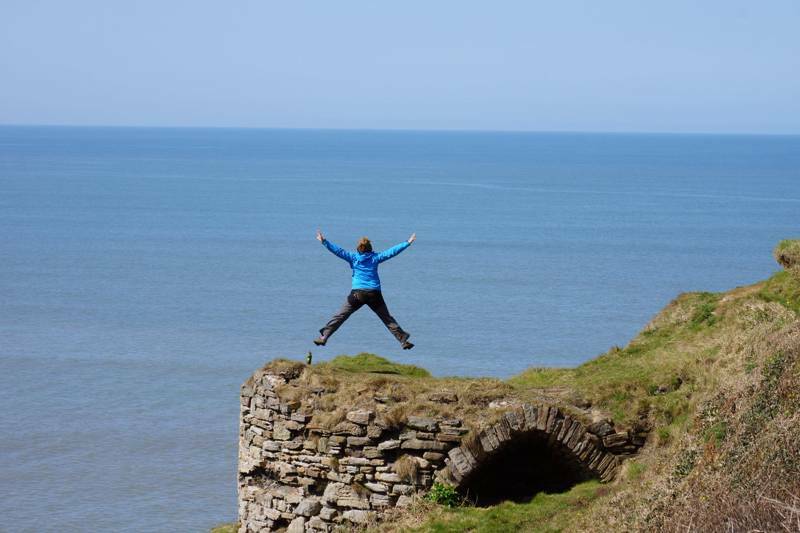 Swimming, surfing, paddling, splashing about... the waters of the UK are fun, safe and shark free! 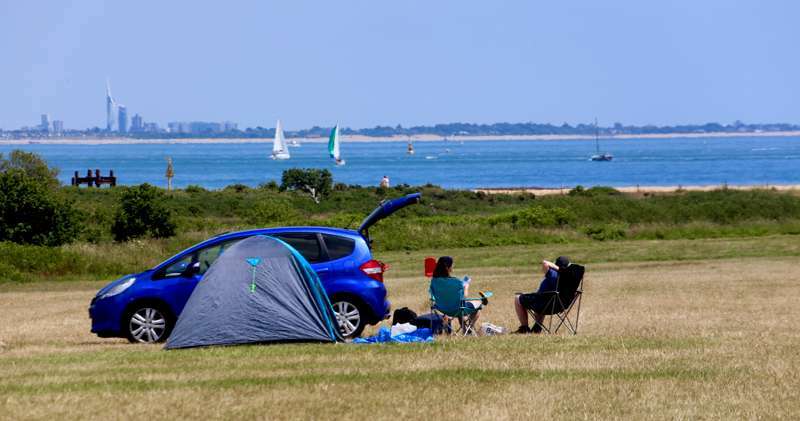 For families, camping by the coast is a no-brainer, while for couples and groups of friends the coastal footpaths, smugglers coves and old harbour towns offer ample exploring opportunities – and all topped off with local fish and chips for dinner. Delicious. beach beaches beachside beach-side seaside sea-side waterfront waterside camping campsites glamping tents at Beach & Seaside Camping in the UK, If you're a fan of seaside camping then you can't go wrong with this gang of campsites and glamping destinations that all have a beach just a short walk away. 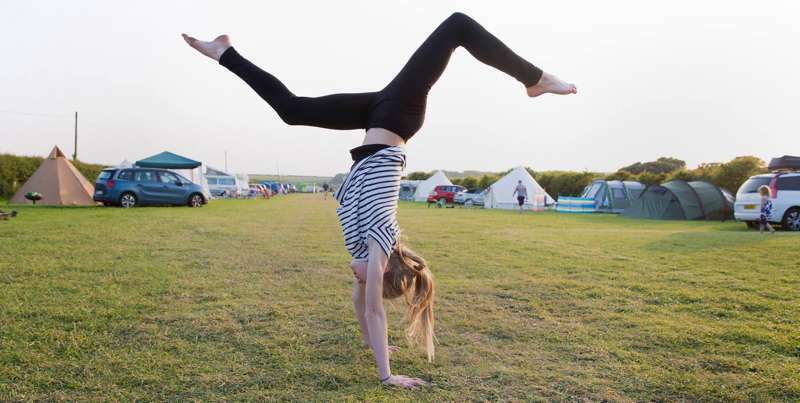 From clifftop campsites and sandy campervan pitches, to glamping sites hidden among the dunes, this curated collection brings together only the very best seaside spots.